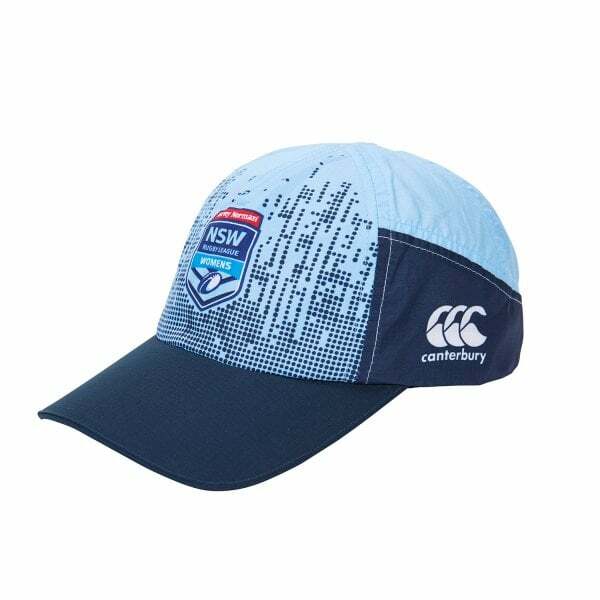 Keep the sun off while you train or watch the game in this quality Training Cap from our 2019 NSW Training collection. Complete with team and sponsor logos, it’s a must-have for every Blues supporter’s wardrobe. This is much more than just a cap. Canterbury’s Training Cap from our 2019 NSW Training collection is quality headwear with lots of great features. It’s a sturdy 5 panel cap made from Polyester Ripstop with a Polyurethane finish, so you know it’s built tough to take it. It also features a Velcro centre back closure, so you can enjoy the perfect fit every time you put it on. Best of all, it carries the official NSW team and sponsor logos, so you can wear it to training and then to the game. The perfect all-round headwear from Canterbury, made for a prime peg in your Blues training wardrobe.